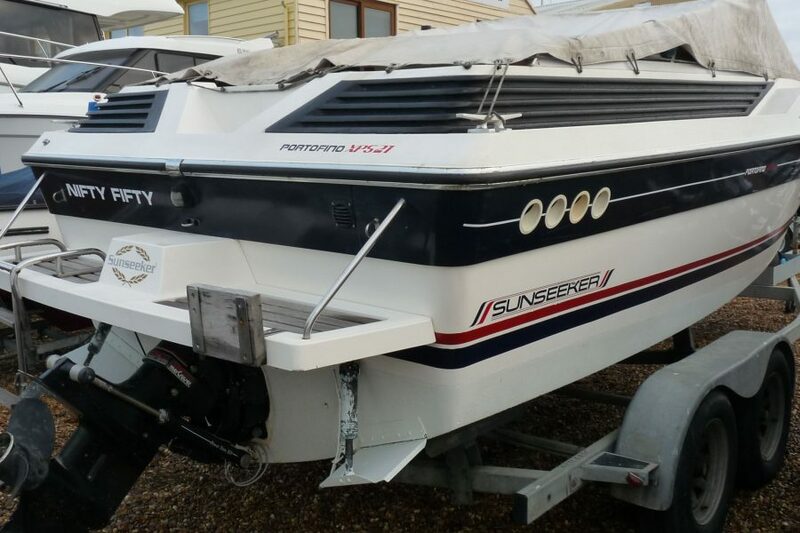 The Sunseeker comes with a great reputation of British quality and design. 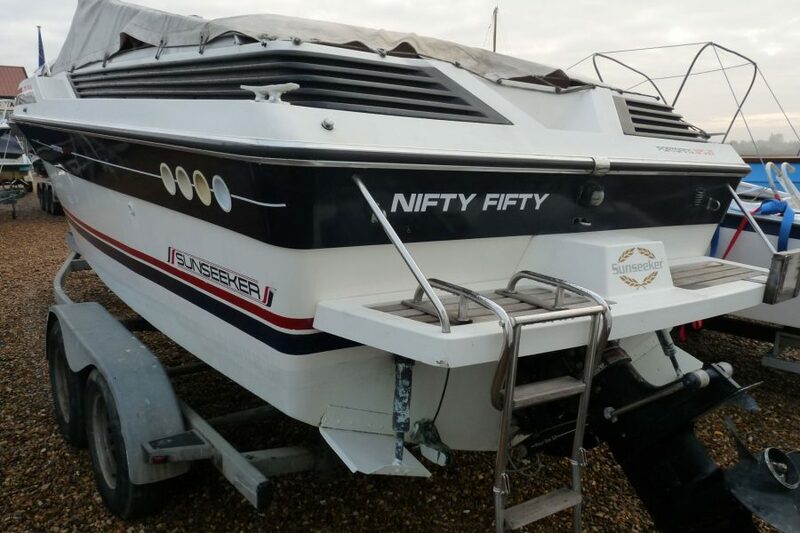 "Nifty Fifty" may be an older boat but she still has great appeal. 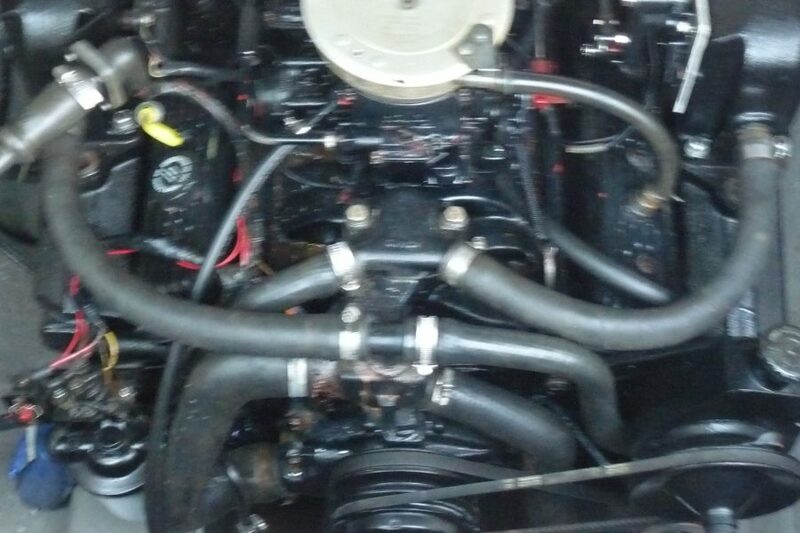 This 2 berth cuddy has had a lot of work done to her engine. 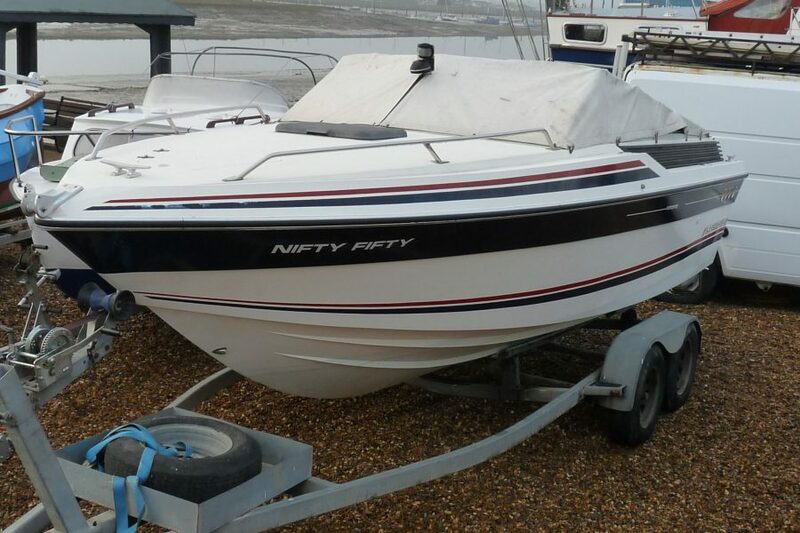 The owner is happy to provide a sea trial on purchase. There is only limited title paperwork available. Striking white livery with black and red striping plus white antifoul. Great flat foredeck for sunbathing. 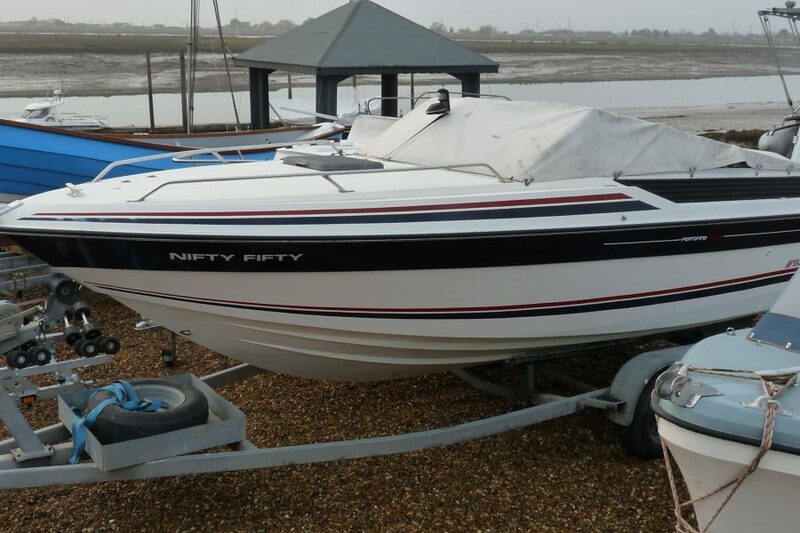 This boat would have enormous appeal for a first time boater with its classic lines and undisputed performance. Anchor and chain. Swim platform with integrated ladder. Heavy duty cleats. Pulpit. Heavy duty ski pole and stainless steel ski eye. Bow roller. Cold water deck shower. Fenders and ropes. Flagpole and flag. 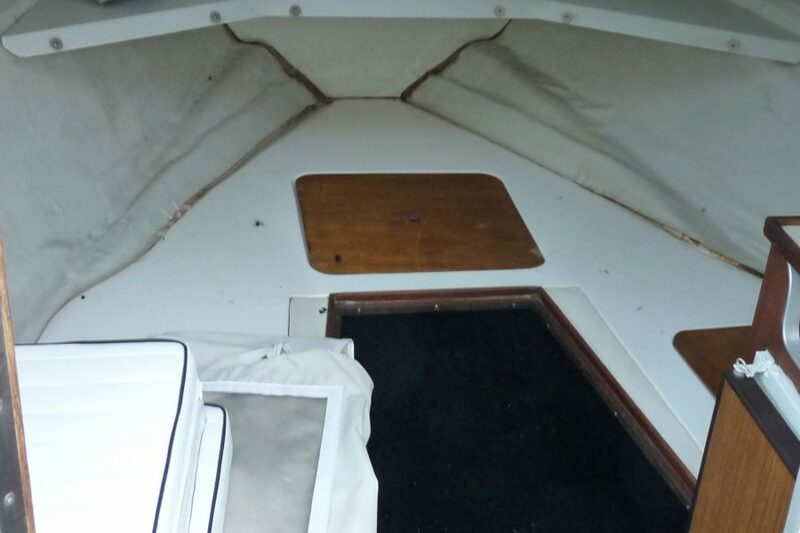 2 berth cuddy with opening hatch. 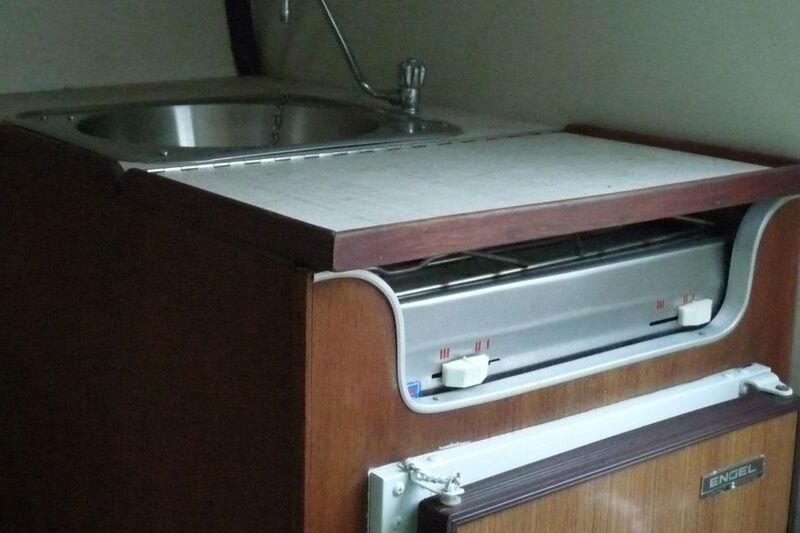 Cooker, sink and fridge. Interior lights. Cushions. Helm and co-pilot adjustable seats. 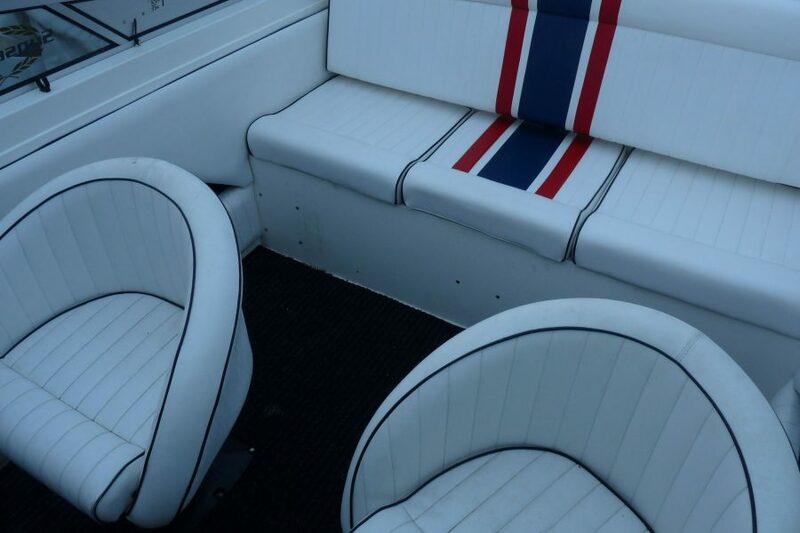 Rear bench seat. Engine instrumentation + speed, revs, temperature, fuel, and battery gauges. Compass. Bimini and frame. Tonneau cover. Fire extinguisher. Table. Windscreen wiper. Horn. Hawkeye depth gauge. Nav lights. 2x batteries. Pro charger 20. 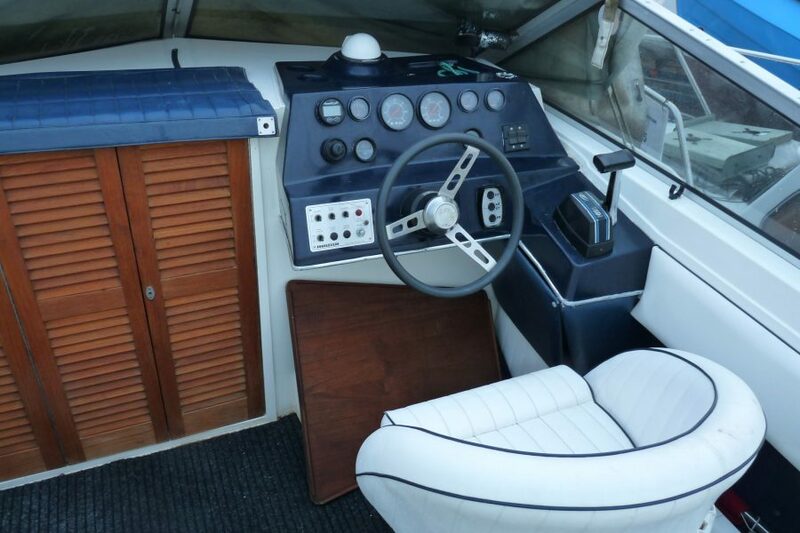 Mercruiser V8 sterndrive - recent extensive refit with new manifolds. Power trim and tilt. Trim tabs. Auto fire extinguisher. Bilge pump and blower. 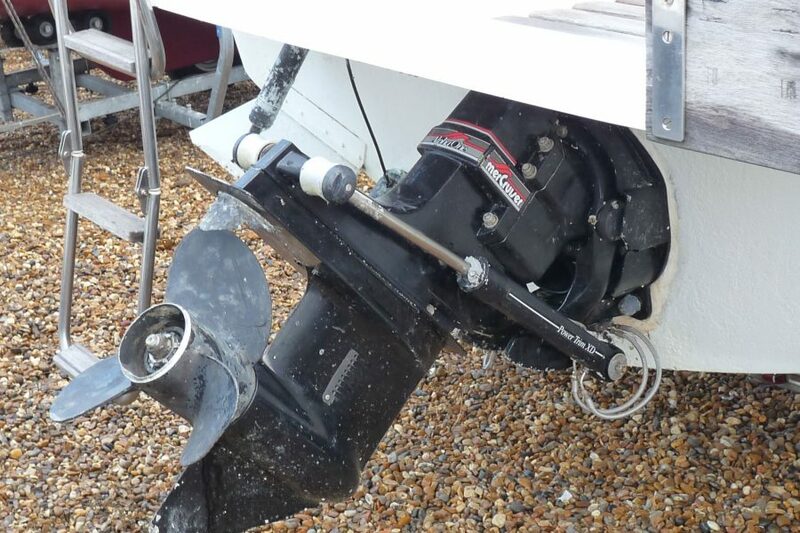 Auxiliary outboard bracket. 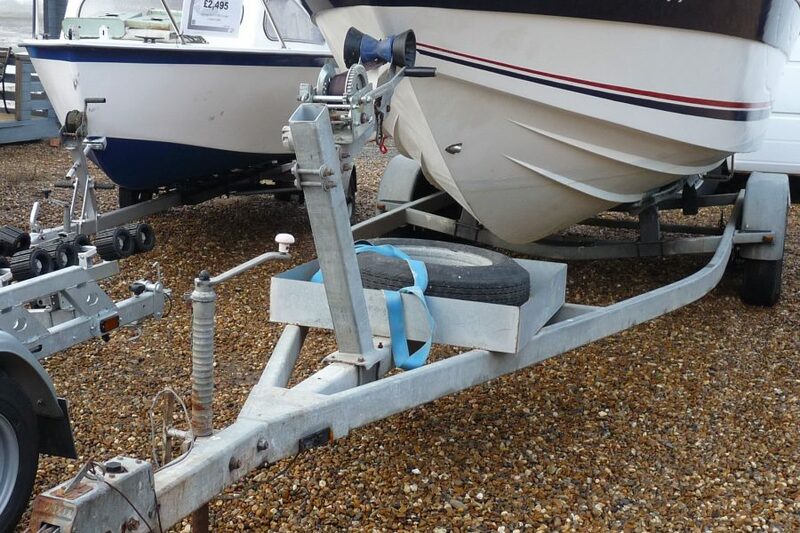 4 wheel heavy duty drive on, easy launch - launching trolley with spare wheel, jockey wheel and winch.